Last week I was fortunate enough to attend an afterschool workshop for teachers with Bek Galloway, an enthusiastic educational consultant and facilitator. The workshop was around developing learner agency, where learners take ownership, make decisions and drive their learning to the degree that works best for them. This is what we want for our Ngaere learners! 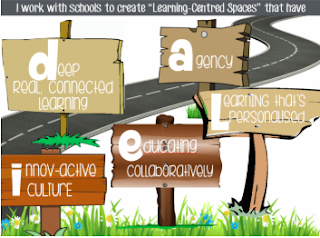 We want our learners to be involved in planning and making decisions about their learning; to identify their needs; initiate new learning; reflect and assess the impact; to be excited about their schooling. This is the journey we are on... next step - all staff will attend a workshop, initiated through our community of Learning group in the July school holiday break.